Holiday Gift Guide - Part 3: Games and Giveaway!!!!!! UPDATE: The Giveaway is now closed. Tara was the winner. Check out Amazon - see links below - for the games you are interested in. Thanks everyone for participating. Little Ones – Baby, Toddler, Pre-School: See it here. Older Kids – Kindergarten and Up: See it here. All the gifts are ones that a grandparent will be interested in. Grandparents tend to be interested in value, something their grandchildren will appreciate when the Christmas wrappings are cleared and doesn’t depend too much on batteries and apps. You’ll find those things on this list especially in this Games section. It is homey and down to earth with my informal and informative commentary. I have personally seen everything on this list - many out of the box and some I have even played with my grandson. They offer quality and value and the toys are the sort of things that become favorites. The pictures shown have been taken by me. I either took the pictures at a show display or in my kitchen. If you are like me you don’t really relish a trip to ToysRUs so everything on this guide is available at Amazon.com. I suggest you check out other online options for price comparisons but don’t forget to evaluate shipping costs in your price comparisons. You can also do a price comparison at the Time to Play website for some items. 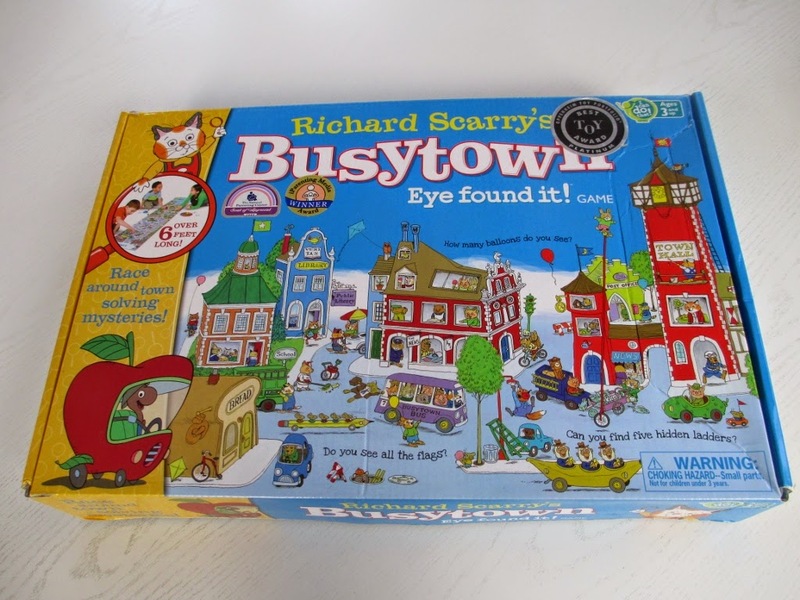 Many of the games I have given my grandson stay at our house but he insisted on bringing this one home and it is a favorite to play with his parents. By the way, lots of men are super hero fans and some Dads will really enjoy playing this with their child. There is also an app you can download to have even more fun with this game. 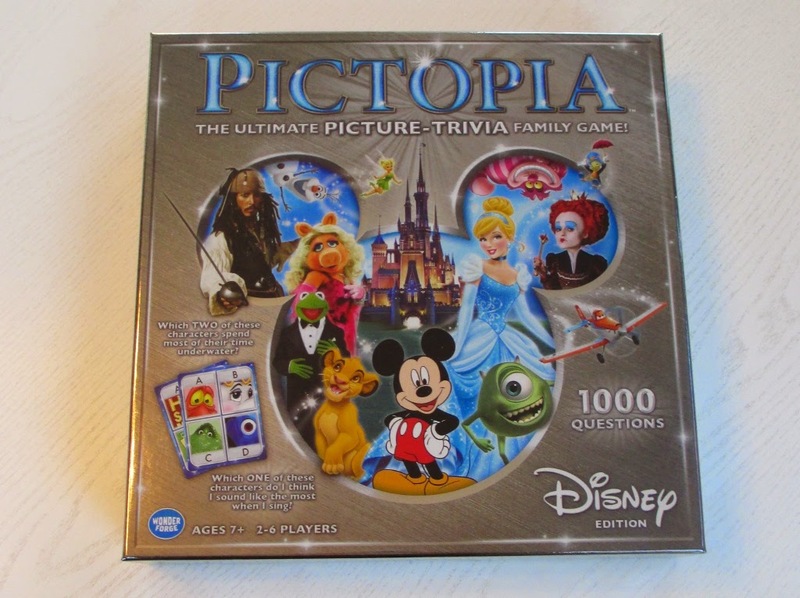 Pictopia Disney Edition– I have received a sample of this game and I haven’t tried it out yet but it gets raves reviews at Amazon and ToysRUs. If your family is a fan of Disney movies, they will love this game. 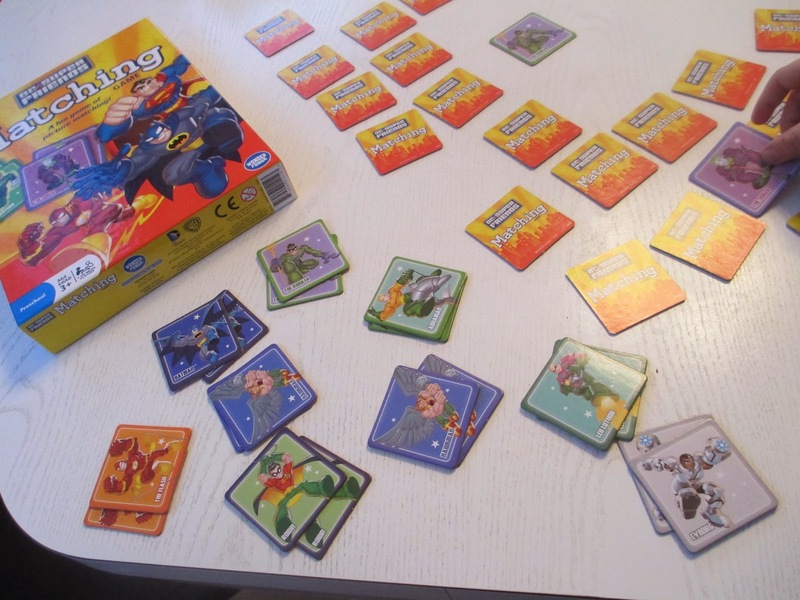 It is a game that adults and children both enjoy – especially if they remember scenes and characters from the Disney movies. There are 200 cards and 1000 questions. You can play in groups with group and individual questions and that evens out the impact of ringers. Even a young child who has seen a lot of Disney movies can be good at Pictopia. 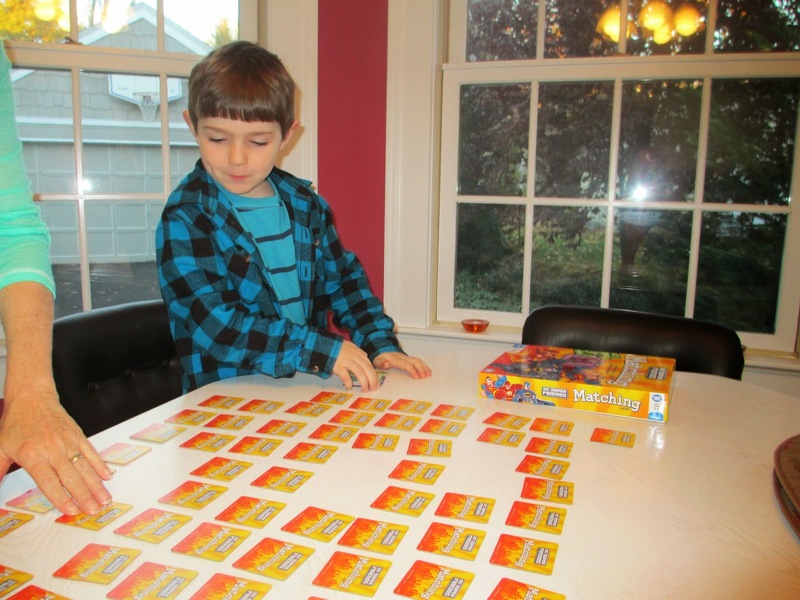 I love games that work intergenerationally and this one gets lots of kudos for that. This game is a Time to Play People’s Play Award nominee and you can vote for it here. There is also an app that you can download to add to the fun with this game. 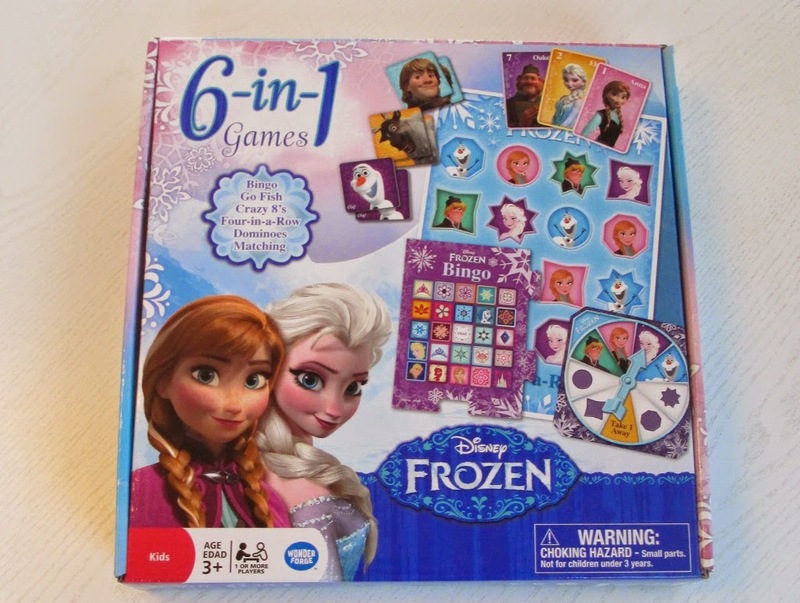 Disney Frozen 6-in-1 Games- Just like the title says, there are six games - all with the Frozen theme (what more could any little girl want?) in the box. 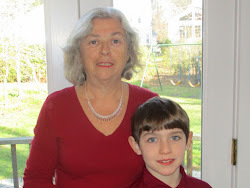 The games are all classics that grandparents already know and can easily play adapted to the Frozen theme. 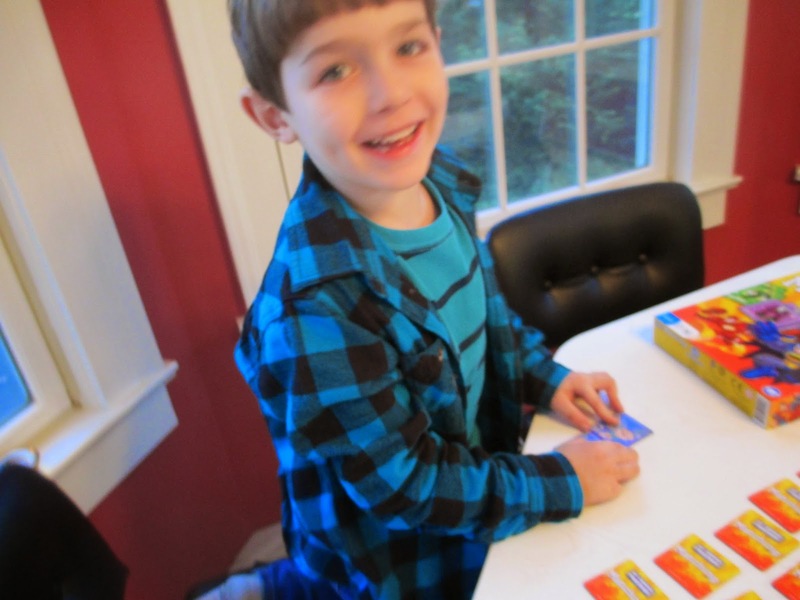 The games include bingo, go fish, crazy 8's, Four-in-a-row, dominoes and matching. The picture below shows you that there are many play pieces - different games use different pieces. The game board has four sections that can be taken apart or put together depending on the game. Lots of variety all in one box at a reasonable price. Another winner from Wonder Forge. This isn't a new game but my grandson has loved playing with it for the last two years. I must warn you that this is a down on the floor and move around game so if it going to be played with an adult, they need to be willing and able to do so. 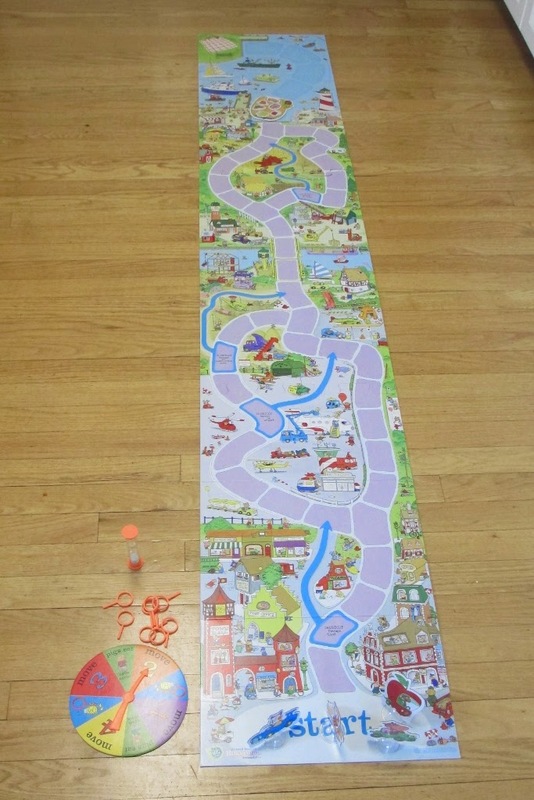 The game board is over six feet long and it is filled with busytown scenes. What I love about this game is everybody wins. You don't need to consider letting a young child win. You use little spyglasses to identify things to advance to midway in the game. Then you wait until all players get on the boat to advance together. If "pigs eat" all the food before you get to the end they win, if they don't all the players win. I really, really like this concept of playing a game and we win together - even if getting up from the floor is more of a project these days. This picture taken on my kitchen floor gives you an idea of what you might be in for! 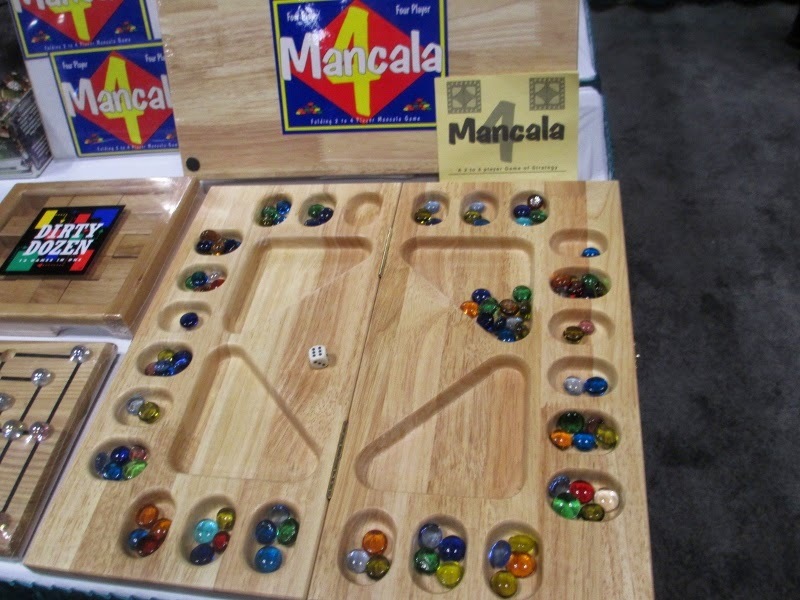 Mancala and Mancala 4 from Square Root - I loved playing Mancala with my kids and there was a set on every summer vacation to the Jersey shore. We played in the late afternoon when it was time to get off the beach and on rainy days. It was our go to game. 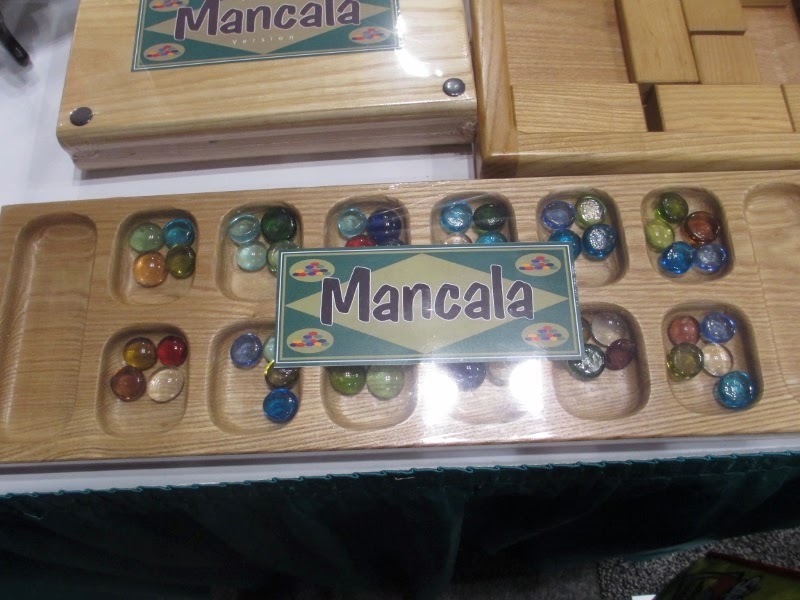 I was delighted to see the beautiful Mancala and Mancala wood games by Square Root at Toy Fair in February. 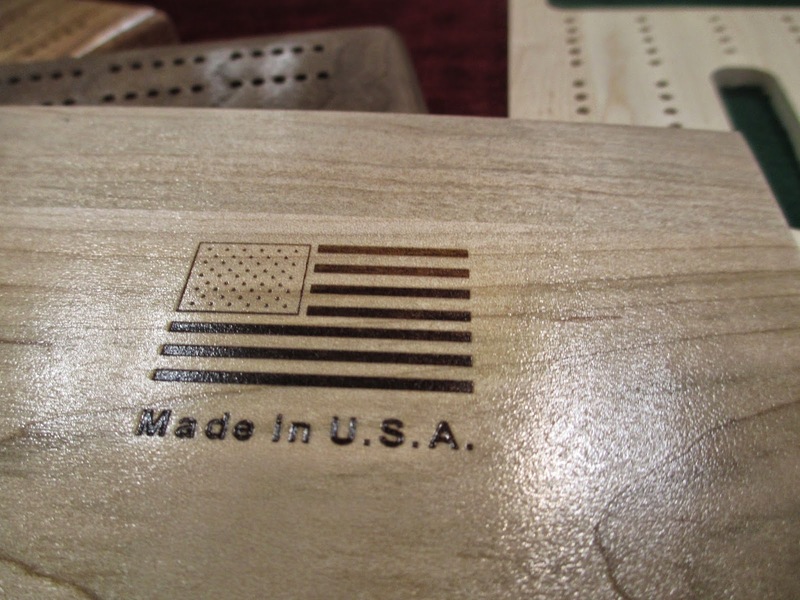 If you are ready to introduce your grandkids to mancala, this is for you. 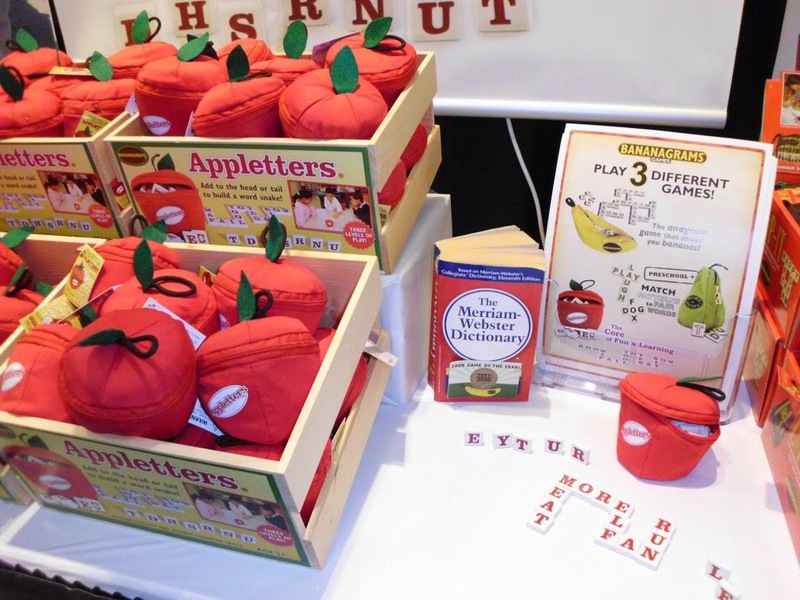 Pairs in Pears and Appletters from Bananagrams - I know that some of you are hooked on Bananagrams. Well, maybe its time to introduce your grandkids to other games from the same company. Here are two that can be adapted for various ages. 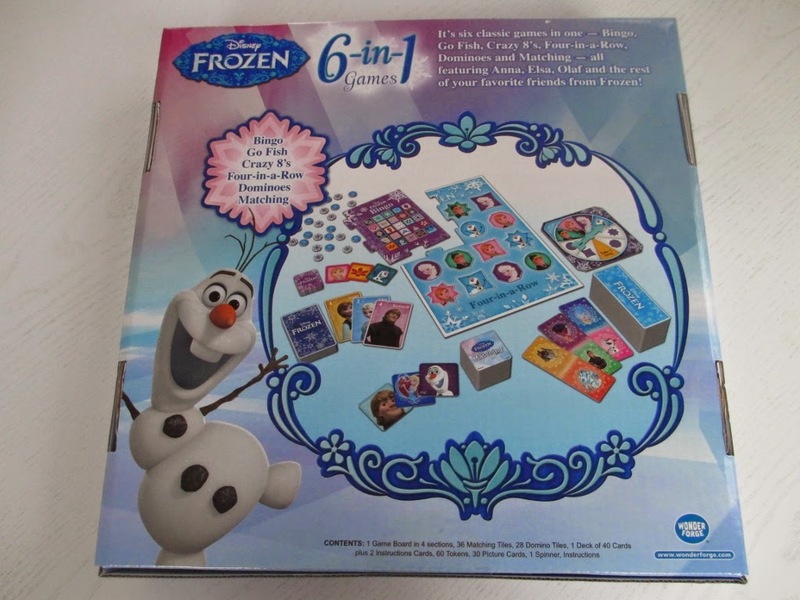 Wonder Forge has generously offered the winner of this giveaway the following 3 games - DC Matching Game, Frozen 6-in1 Game and Disney Pictopia. You can have two entries by doing both. Deadline to enter:December 1, 2014 at midnight. The winner will be selected using random.org. This item can be sent to US addresses only. Full Disclosure: This review is completely my own opinion and I was not reimbursed for it. I did receive a review sample for some items. This is the first ANNUAL Holiday Gift guide for The Grandma Chronicles. It is so big that I am going to present it in a separate post for each section. All the gifts are ones that a grandparent will be interested in. Some grandparents are on a tight budget and some are able to afford the gift with “extra splash that isn’t in the parents’ budget.” Grandparents tend to be interested in value, something their grandchildren will appreciate when the Christmas wrappings are cleared and doesn’t depend too much on batteries and apps. You’ll find those things on this list. This is the only Holiday List of toys I know of with a “Brings Back Memories” section. When I visit various Toy Shows I am always drawn to toys that my kids played with that are coming back and have new life for this generation. You’ll see those in a separate section in this guide. I promise you they will bring a smile to your face and memories of your kids as children. There are some big name company items on this list and there are also brands you may not have heard of, but I am familiar with them and recommend them. 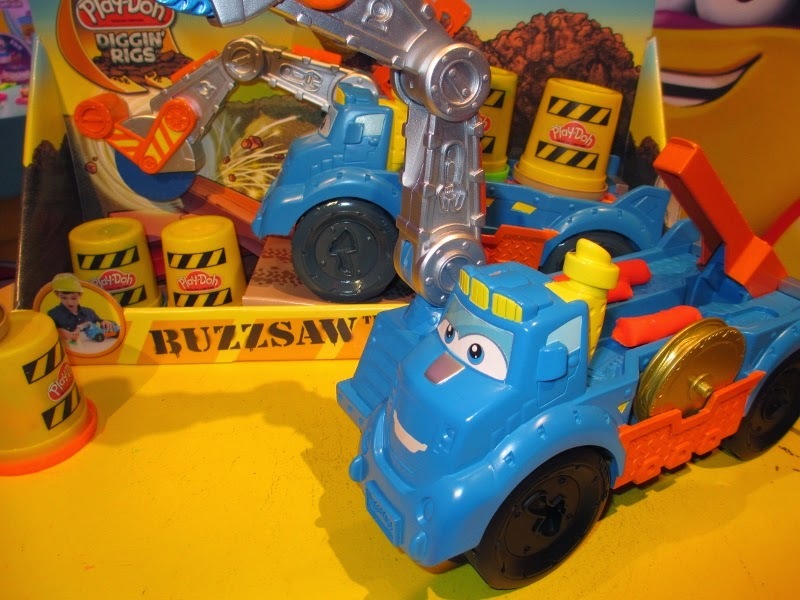 They offer quality and value and the toys are the sort of things that become favorites. I have personally seen all of the toys on this list - many out of the box. Almost all of the pictures shown are taken by me. They are shown just like I saw them on display at various media events during the year. They may not be perfect but I prefer them to the stock photos. If you are like me you don’t really relish a trip to ToysRUs or the toy department of WalMart. I do visit ToysRUs, but I must admit that I don’t care for the layout these days and I am happy to shop online so everything on this guide is available at Amazon.com. I suggest you check out other online options for price comparisons but don’t forget to evaluate shipping costs in your price comparisons. You can also do a price comparison at the Time to Play website for some items. See Part 1 - Little Ones - Baby, Toddler and Pre-School here. Spider-Man 31 inch Action Figure by Hasbro – This action Figure is over 2 ½ feet tall and it will equally appeal to a 2 year old, 20 year old and 42 year old Spiderman fan. It makes a great room decoration for a young Spiderman fan and a conversation piece for an older one. Could become a classic collector's item - grown men seem to love it too. Big Bang Theory anyone? 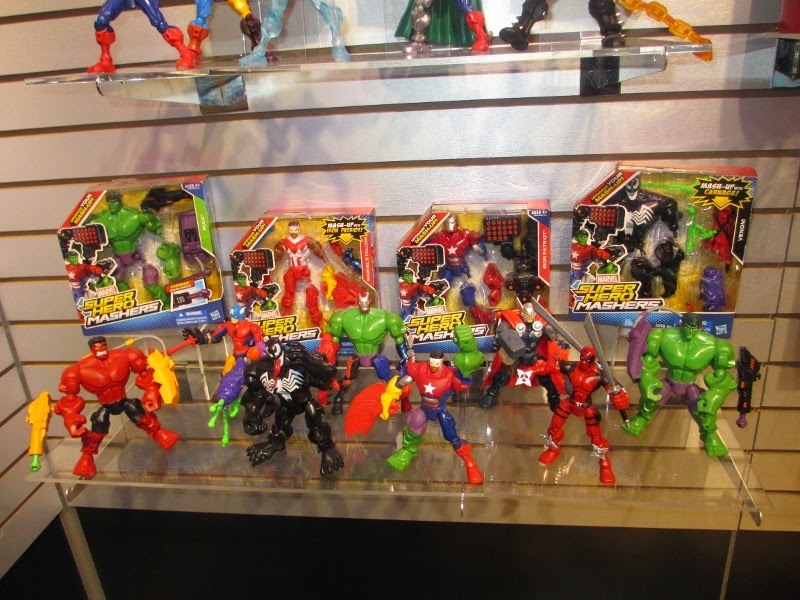 Super Hero Mashers from Hasbro You need more than one of these to enjoy the concept. All the parts are removable so you can swap parts from other Super Hero Mashers figures and change out weapons that each super hero has. Kids love these as they design their own Super Hero. If your grandchild already has some of these, chances are there are some additional ones on his holiday list. My grandson's list includes Hulk, Iron Man and Thor to add to his collection. I can't wait to see which super heroes he creates on his own. Go! Go! 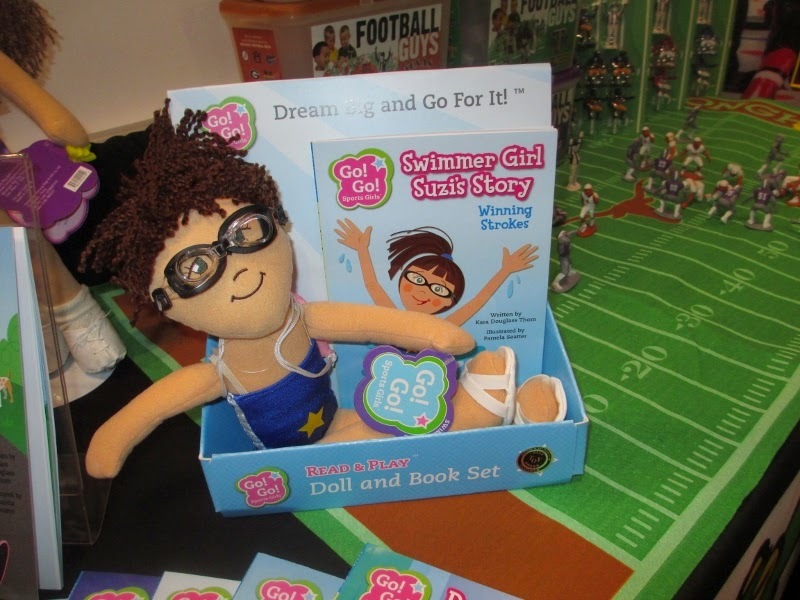 Sports Dolls and Book Set – These dolls are designed to encourage healthy lifestyles and realistic body shapes for girls. As of this writing Amazon has Soccer Cassie, Swimmer Suzi, Tennis Gracie, Dancer M.C., Runner Ella and Softball Sam. Perfect for athletic graddaughters. New this year they come with a book. 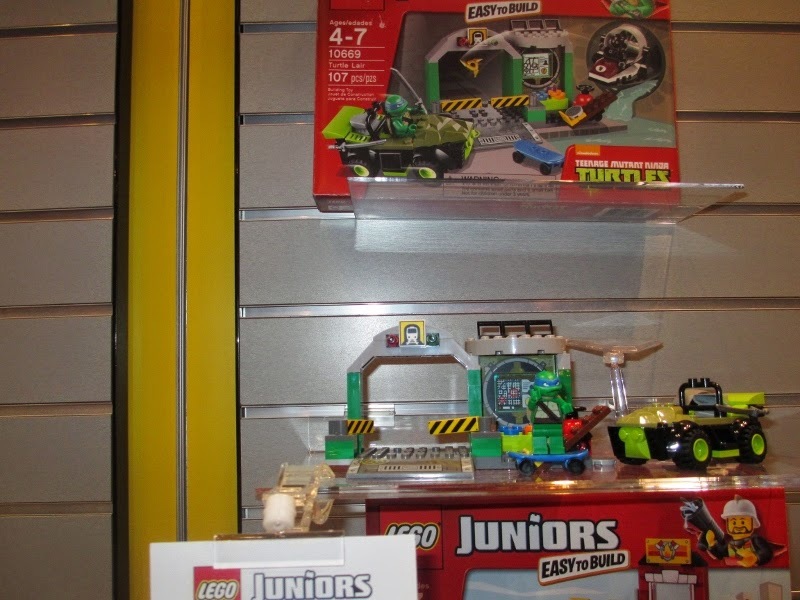 Lego Juniors Teenage Mutant Ninja Turtles Lair - Lego Juniors are a new product designed for that in between age when kids are outgrowing DUPLO and regular LEGOs may be a bit too difficult for them. Designed for ages 4 – 7. 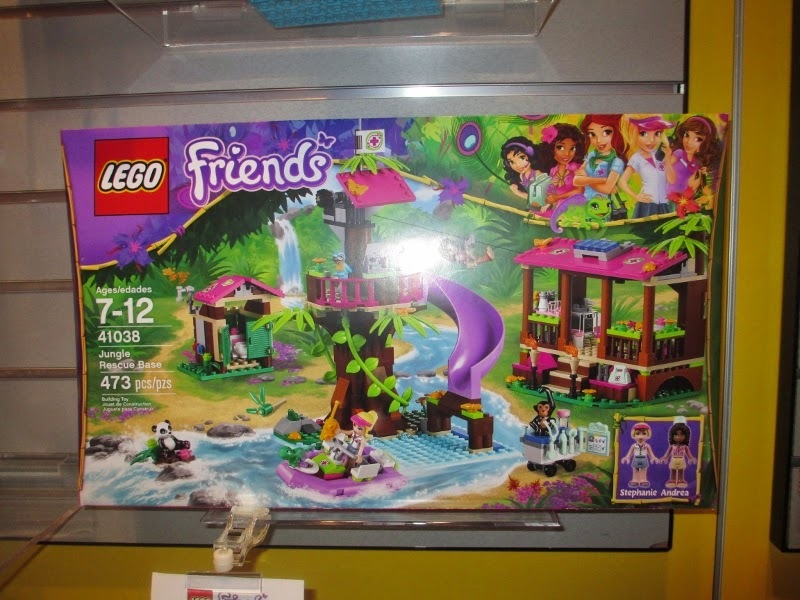 LEGO Friends Jungle Rescue - The fairly new LEGO Friends line has themes and colors designed to appeal to girls. 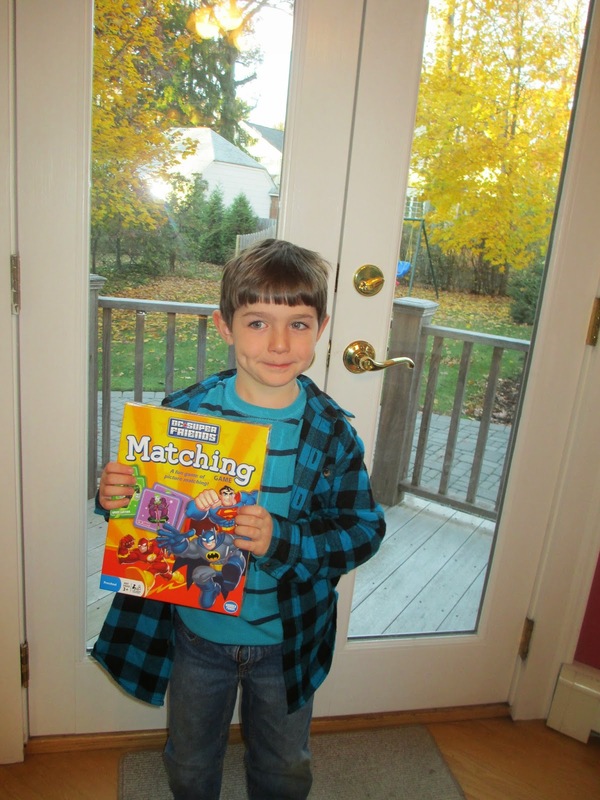 It is receiving rave reviews from girls, parents and grandparents. This set is new this year and 5 star ratings all the way at Amazon and ToysRUs. 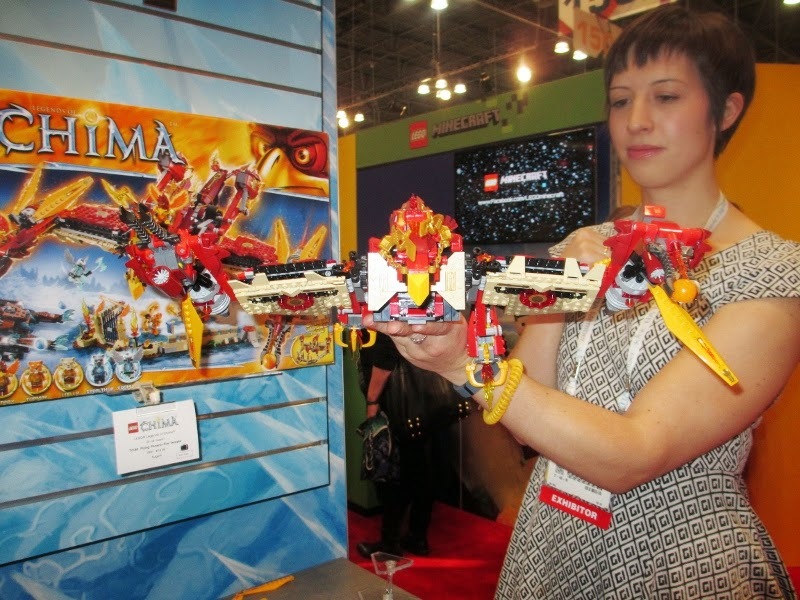 LEGO Chima Flying Phoenix Fire Temple Building Toy - This super big complex LEGO set is for older kids with serious interest in LEGOs. It has 1301 pieces. I saw it put together at Toy Fair NY in February and it is gorgeous. When completed, it will be a proud accomplishment. It can be like the crown jewel of LEGOs for an older child but if you give it to a young child you will have an unhappy parent and a frustrated child. 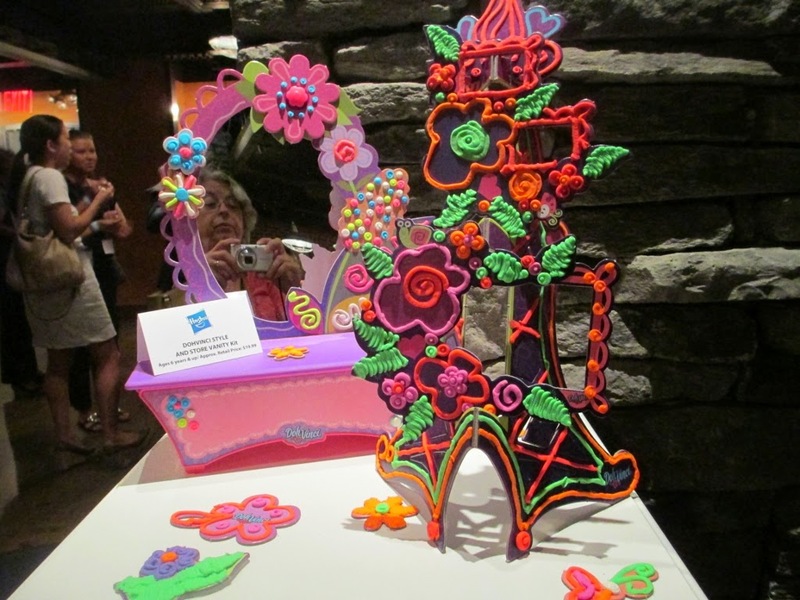 Doh Vinci Style & Store Vanity Design Kit - I have small play doh containers for young children on Halloween but older girls love play doh too and want them rather than candy. This is for girls 8 and up. Younger kids will have some trouble managing it. You use the air-dry design compound and styler tool to create designs with 3D lines. Let the compound harden overnight for a beautiful, keepable, giftable creation. 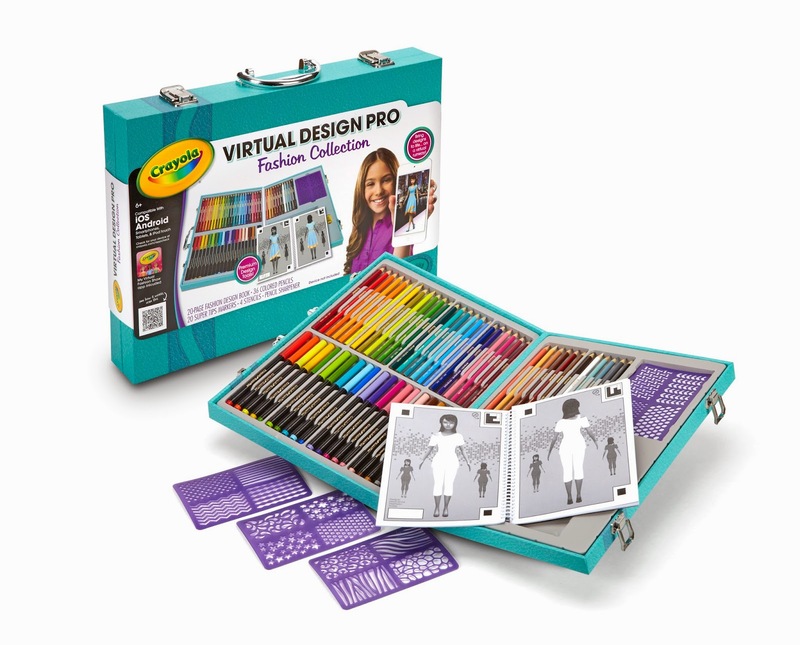 Great gift for kids who love crafts and art projects. 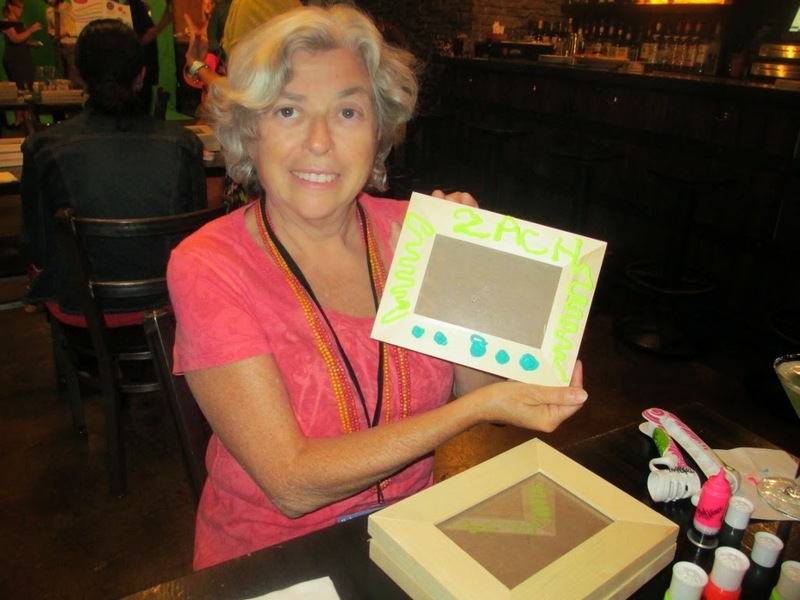 The styler could also make for excellent party crafts for small groups. I have absolutely NO artistic skill - as shown in this picture - but I enjoyed the project and it made me remember craft projects I put together for sleepover parties for my daughter. 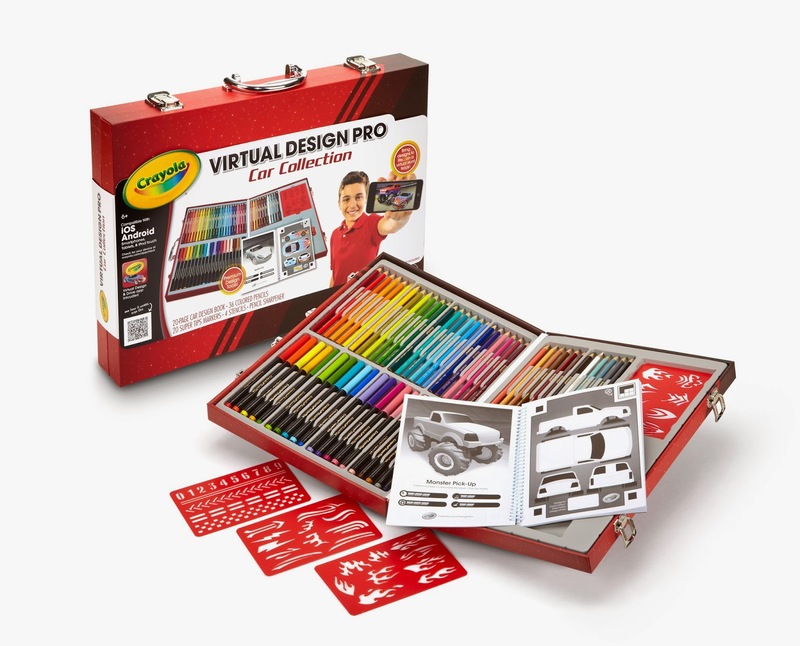 Virtual Design Sets from Crayola – There are two sets – Pro Car Collection and the Pro Fashion Collection. These are a lot more than colored pencil sets. Each includes a design book and an app that can be used on a smartphone or tablet with special software that brings the designs to life on a virtual stunt course or fashion runway. A true 21st century twist on a tried and true item that older kids enjoy. You will send a message to your grandkids with this gift that you are a 21st century grandparent. Check back soon - Next category up - Games. What do you recommend as gifts for this age group? Let us know in the comments. Almost all of the pictures shown are taken by me. They are shown just like I saw them on display at various media events in New York during the year. They may not be perfect but I prefer them to the stock photos. 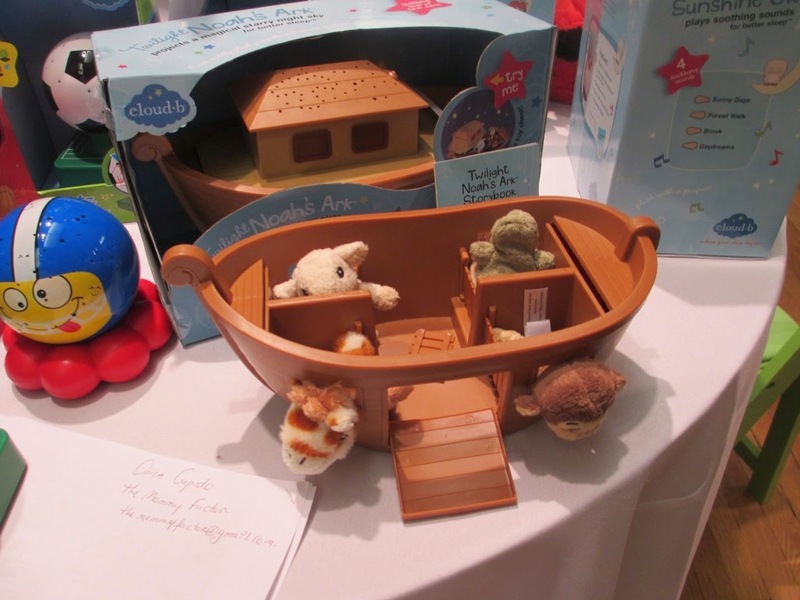 Twilight Noah’s Ark – This multifaceted toy can be a real charm at bedtime. The top detaches and inside are 4 soft plush finger puppet animals. Perfect for quiet bedtime play. When the top is on the nightlight projects a starry night scene on the ceiling. See more in my review here. 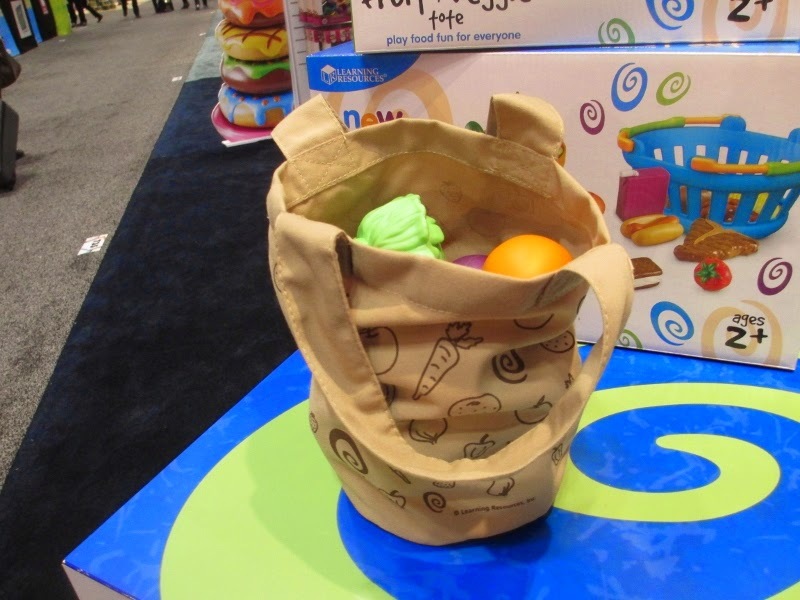 Fresh Picked Fruit and Veggie Tote – Young children love to play with play food. This set is reasonably priced and has great reviews. 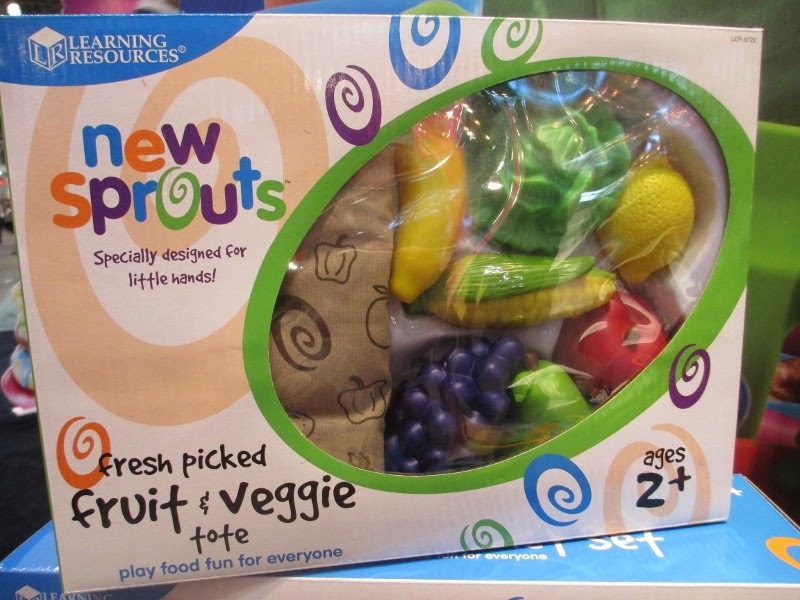 The fruit and veggies art soft and easy for young children to handle. On Parents say the little ones like the bag too. 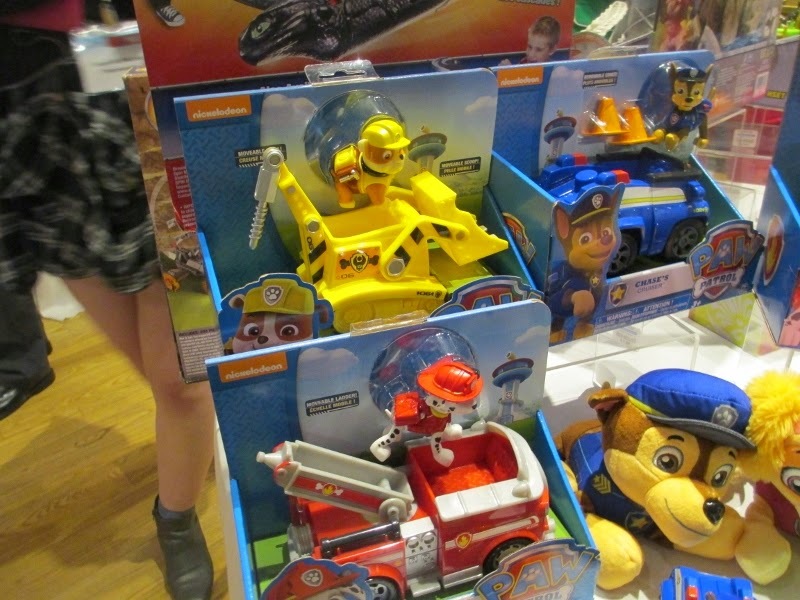 Paw Patrol characters are rock stars for the 2 – 5 year old set. There are 5 pups so make sure you are getting a favorite or some that will complete your grandchild’s set. These get rave reviews. Chase comes with Chase character and cruiser and two cones. Babicorolle Miss Grenadine's Heart Doll and Lili Grenadine Heart Doll by Corolle- These soft plush dolls are 9 ½ inches tall and perfect for a first doll. 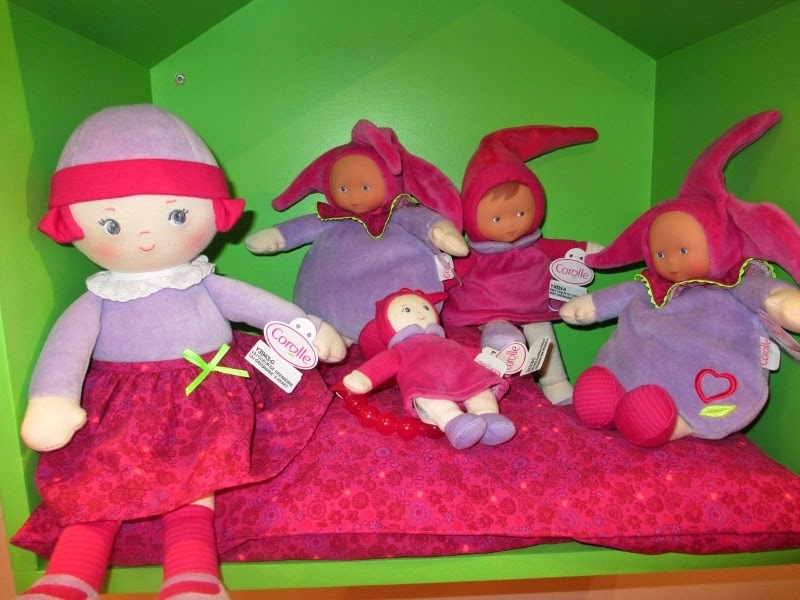 Corolle is a French company and these dolls get the highest review marks and are the highest quality . They have the Corolle signature vanilla scent. 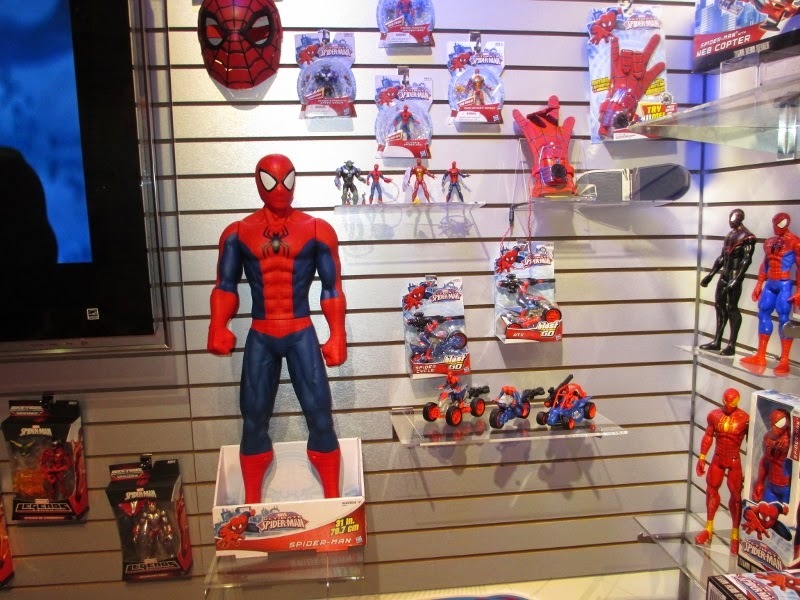 The Corolle booth is always my favorite visit at Toy Fair. 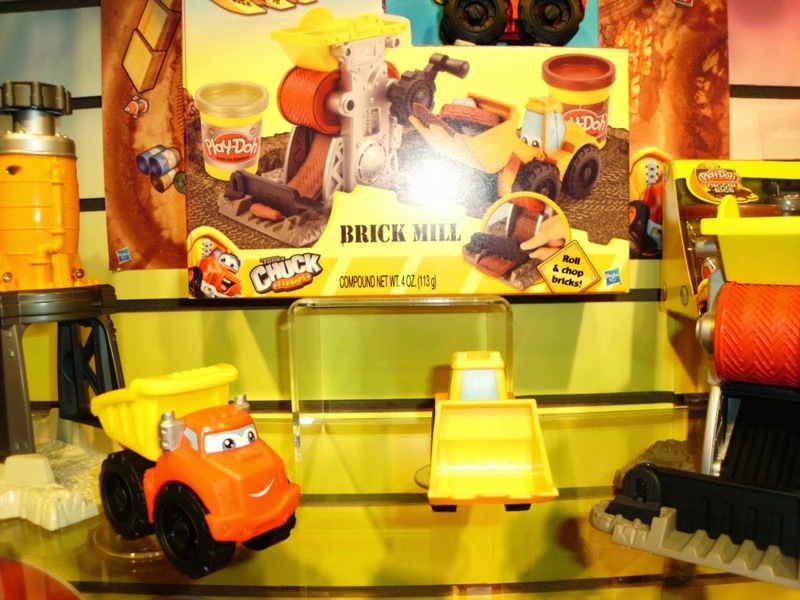 Play Doh Diggin Rigs Tonka Chuck 'n Friends Brick Mill Set – The Play Doh Diggin Rigs collection includes a power crane, steamroller,excavator, buzzsaw and various building sets. Bob the Builder fans will love these playsets that come with play doh colors suitable for road and building projects. My grandson is 5 and still enjoys the steamroller I bought 2 years ago. The play doh colors are building and road colors and this adds to the imaginative play. Subscribe to the blog or check back soon for the other sections of the Holiday Guide.